In Canada, Norway and Greenland, baby seals are killed for their skin and fur, to be sold all over the world. Italy is one of the main importers of baby sealskin, for its shoe and clothing factories. China, Korea and Japan boost this activity for their fashion industry and for the production of supposedly aphrodisiac derivatives. On February 26th, 2002, the Supreme Court of Canada confirmed that the Federal Government is entitled to forbid the sale of baby sealskins. 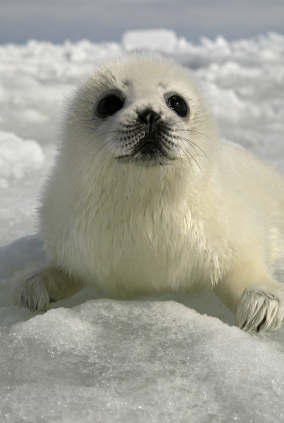 The confirmed law bans the hunting of baby seals of less than 28 weeks (while hunters would want to be allowed to kill them when they are just six weeks old, because the skin is more valuable). Even if this is just a small step, hopefully the public will understand that killing baby seals changes the natural demographic trend of a population: since they do not reach adulthood, they cannot breed.